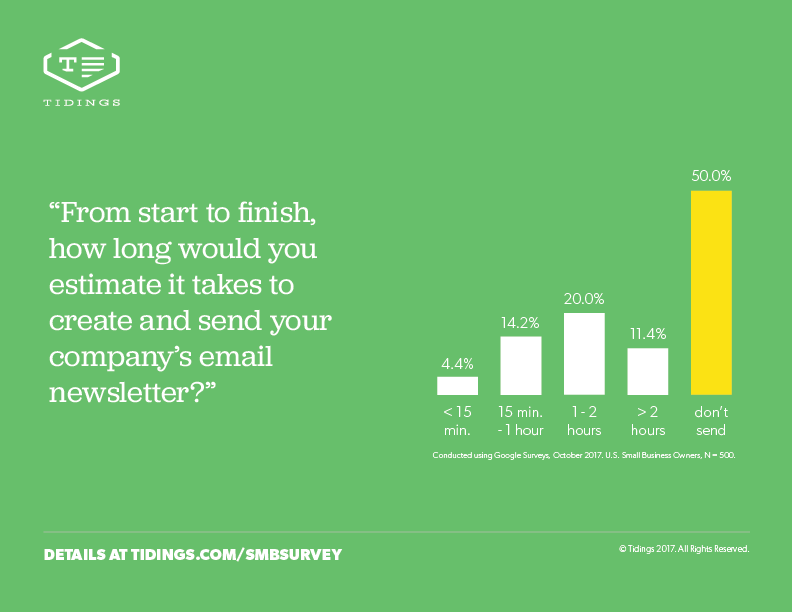 See why Tidings is the fastest, easiest way to send a newsletter. ⤤︎ Rather use Facebook? Select it here. Strategies, tactics, and advice for making the most of your small business digital media presence. View our brief explanatory video for a quick overview of our product. 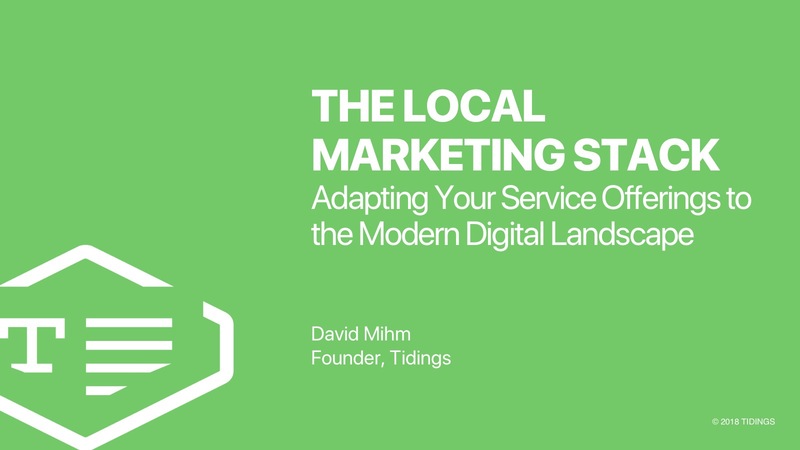 Watch Founder David Mihm go "from nothing to newsletter" in 7 minutes. Learn how you can profitably and easily offer newsletters to your clients by reselling Tidings. Full details on how to use all of our key features. What we've been up to: a deep dive into feature releases, company milestones, and all things Tidings. 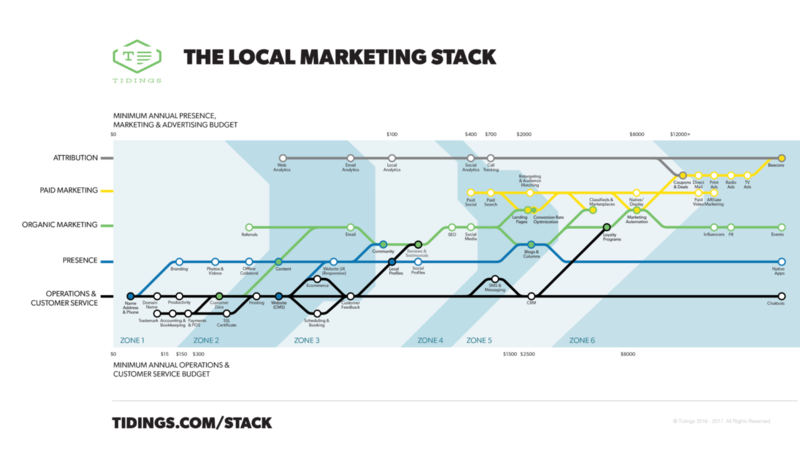 A visual decision-making framework to help local business owners evaluate their digital marketing options. This accessible guide lays out a complete roadmap for success in Google’s local search results. An ongoing compilation of the most compelling statistics around email marketing. Keyword research, title tags, links, and citations...reading the tea leaves of Google's strategic direction and market position, we think that's a dangerous recipe. Learn why, and how to adapt to the modern landscape. TL;DR? Not enough small businesses are sending a newsletter—probably because it's too time-consuming. 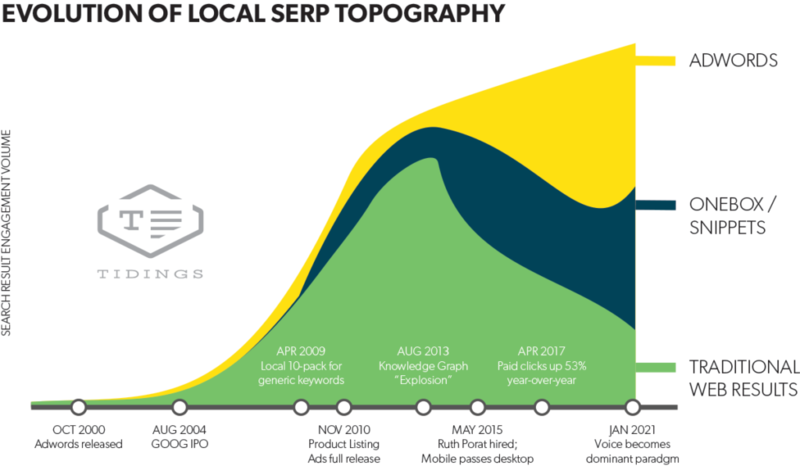 See how local search results at Google have evolved and where they're headed. Start preparing your business for a much more complex and personalized Google algorithm. 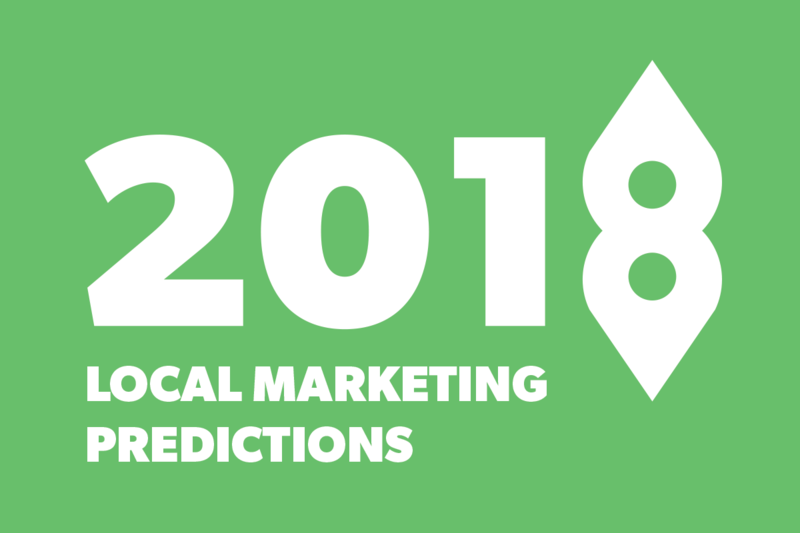 Each year, Founder David Mihm peers into his crystal ball & predict what's coming—see what's in store in 2018. Instant answers to your most pressing digital marketing queries. What citations matter for local search? What’s the most important data aggregator for local search? What’s the impact of citations on local search rankings? Should we build a Google Site, or will it compete with our existing website? How do I rank in local searches without a physical location? 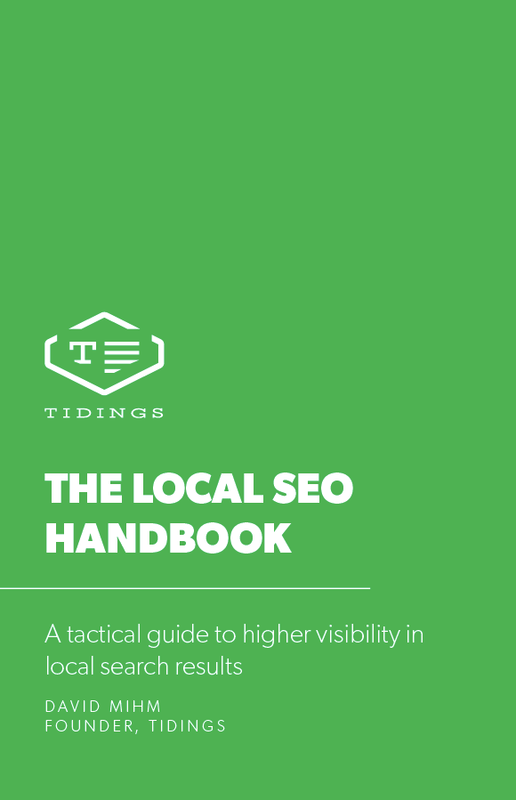 What’s the best way to track local SEO rankings? Are links the most important ranking factor in Local SEO? Does Google track actual store visits to rank local searches? 60-second weekly updates highlighting news that impacts small business owners' digital media strategy. The Local Year in Review, Websites in 2019, and More. The latest research, products, and innovation happening in the SMB digital marketplace. Agency Insider: Is Local Google’s Backdoor to Social? See what Tidings can do for your business. Go “from nothing to newsletter” in 7 minutes. Stay up to date on the latest trends in digital marketing for local businesses. By checking the "Email and email analytics" box below, you confirm your consent to receive newsletter(s) and company updates from Tidings Company LLC, and acknowledge that we may use and analyze your data to improve the quality and relevance of content we send you. You can change your mind at any time by clicking the unsubscribe link in the footer of any email you receive from us, or by contacting us at help@tidings.com. We will treat your information with respect. For more information about our privacy practices please visit tidings.com/privacy.html.